Little Page Turners: Rapunzel! Rapunzel! Where'd all my bows go? Rapunzel! Rapunzel! Where'd all my bows go? E doesn't have many hair bows and clips. She did but they've nearly all disappeared... somewhere. Rapunzel to the rescue! 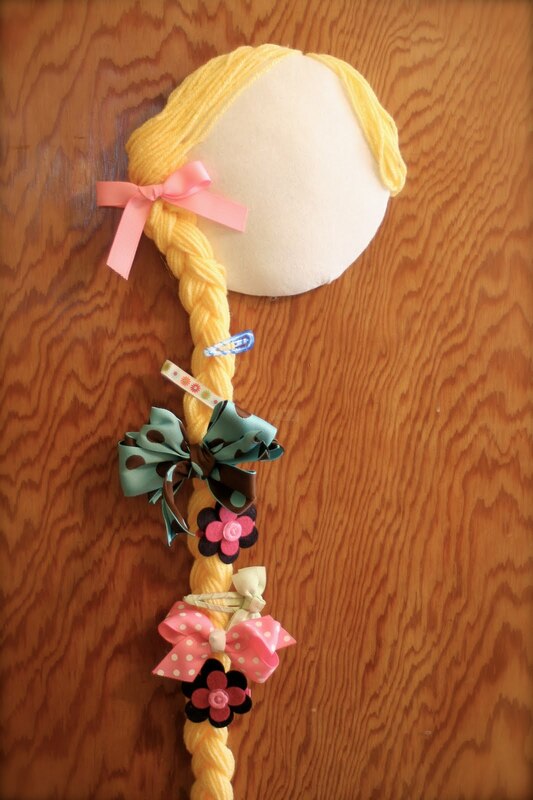 Inspired by this one from Mommy Meatloaf, I made a Rapunzel Hairbow Holder for E's surviving hair accessories. 2. Cut your fabric (I used an old t-shirt) in a larger circle. 3. Place the polyfill on the cardboard and stretch the fabric across, hot-gluing it to the back of the cardboard. 4. If you want to make it prettier, glue a circle of cardstock to the back to hide the extra fabric. 6. Braid! 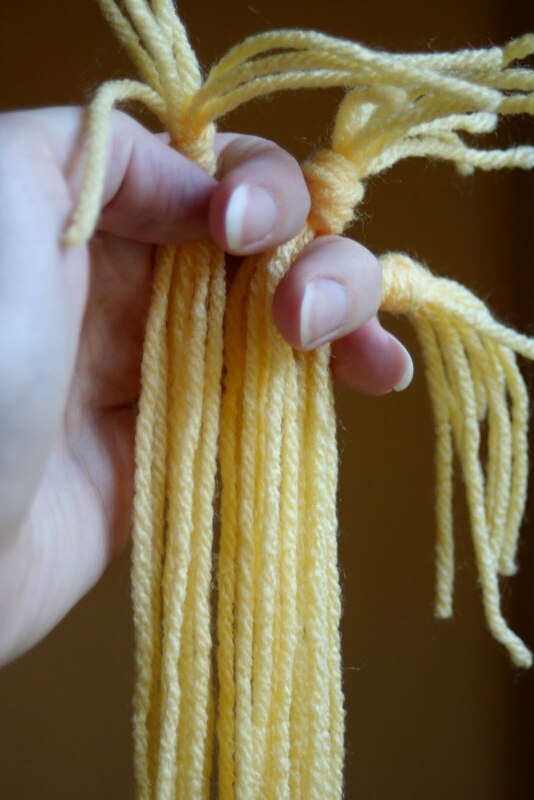 If you're really adventurous, you can secure the yarn to your fridge and try to teach your 5 year old how to braid. After a few frustrating minutes of me teaching and her not getting it, E turned to me and said, "Mom, why don't we work on it together." Excellent idea. She did one side and I did the other. 7. Glue the braid to the face and add the remaining hair. I didn't get any pictures of this part because my fingertips were too burned to pick up the camera. 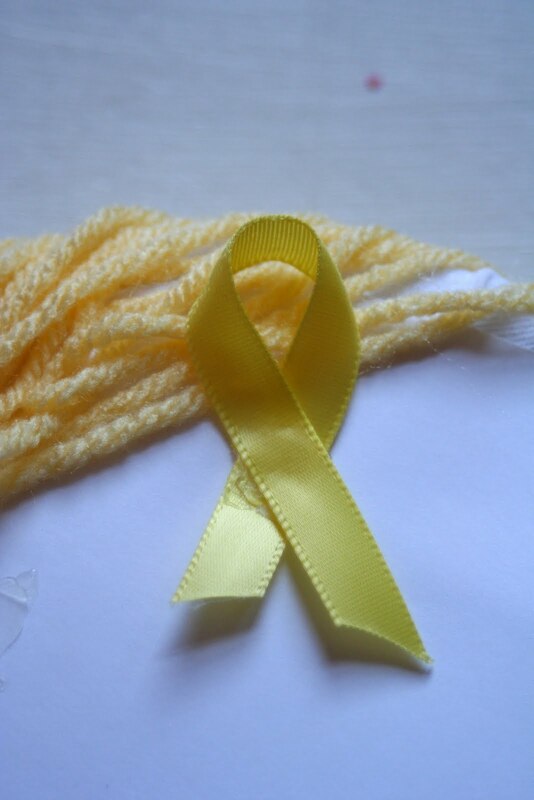 If you can figure out how to press yarn into hot glue without sacrificing all of your digits, please let me know. 8. Glue a ribbon loop to the back for hanging. 9. Set Rapunzel in her tower and get ready to accessorize! If you're wondering why poor Rapunzel is faceless, I plan on adding fake eyelashes once I can get to the store to buy some. I think they'll look darling, but I didn't want to add other features until I see for sure. To be honest, I think she's good as-is, but my everything-must-have-a-face daughter insists I'm not done. You know when you see that shiny gold medal that the pages of a book will be filled with wonderful illustrations. The pages of this Caldecott Award winner reveal this classic fairy tale in the style of Italian Renaissance paintings. The story is long for little ones, but grade school children will enjoy hearing the story and examining the rich and detailed illustrations. This was my favorite fairytale as a child (I think I've always been a little vain about my blond hair), and I'm happy to have found a book that allows me to share it with my own little blond! I just saw a preview for a Rapunzel movie the other day; it looked great. It turned out really cute! Great way to help her keep up with her clips. This is so much cuter than my bow hanger. I just might have to "borrow" this idea! 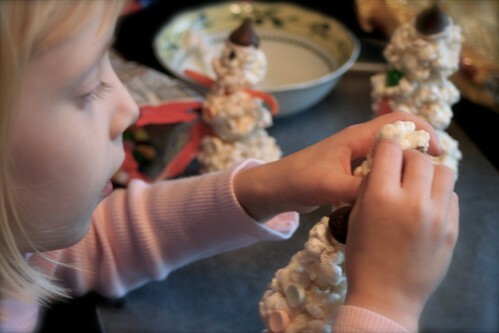 Hey- I think I could even make that! So fun! Totally cute and yes, she needs a face! Super!!!!! My daughter's bow display just broke last week... If only I could sew! I like her face-less but some pretty eye lashes will be darling too. This is just darling! I like her without a face too, but I do think that eyelashes will be adorable! Such a cute idea! Perfect for our little princesses! 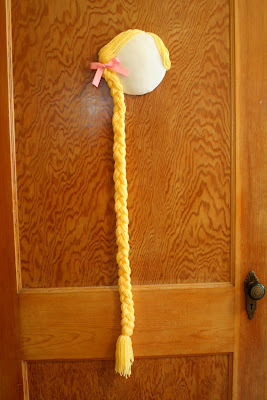 I have seen the other hair bow/barrette holders on a lot of other blogs and was never wowed enough to want to make one. They just looked like a big old cluttered mess hung up on the wall. But this is the absolute cutest thing I have seen yet! Definitely going to "steal" your idea for my daughters' room! Love it. Hubby was just saying that we need to so something different with the girls' hair things because they're all over. Great idea! Now that is a very creative twist on a chair clippie holder!